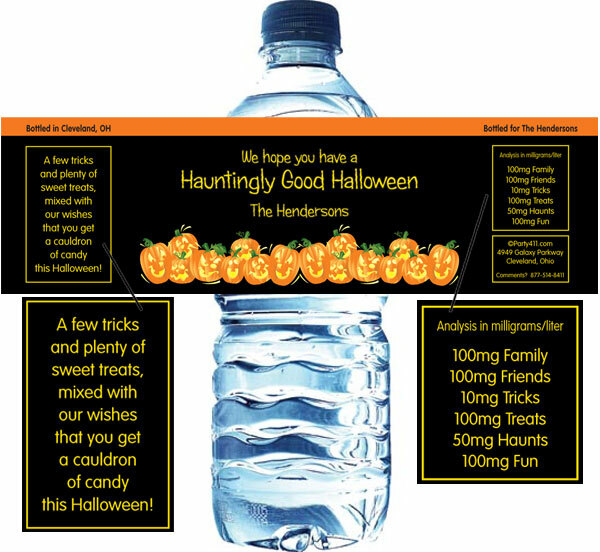 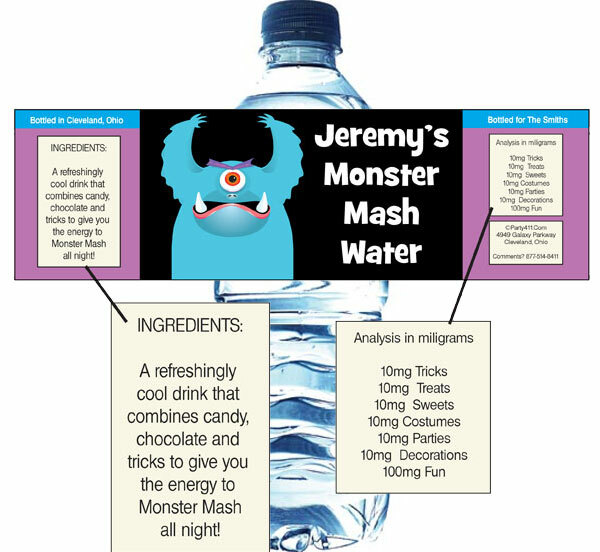 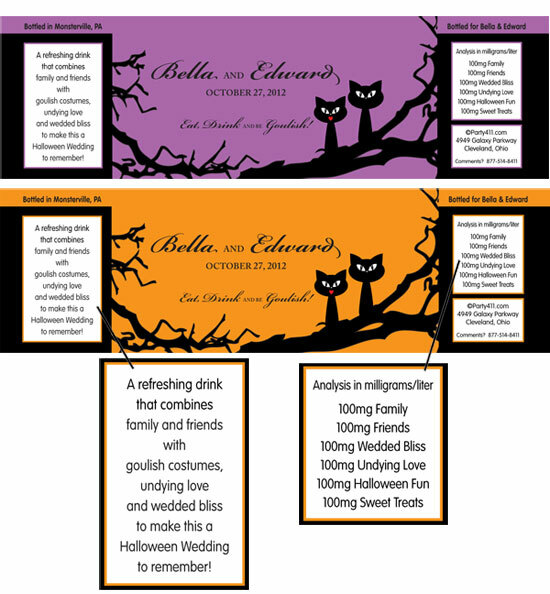 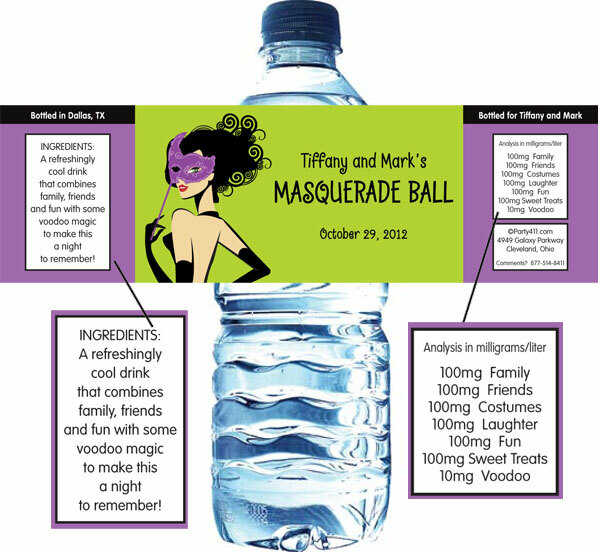 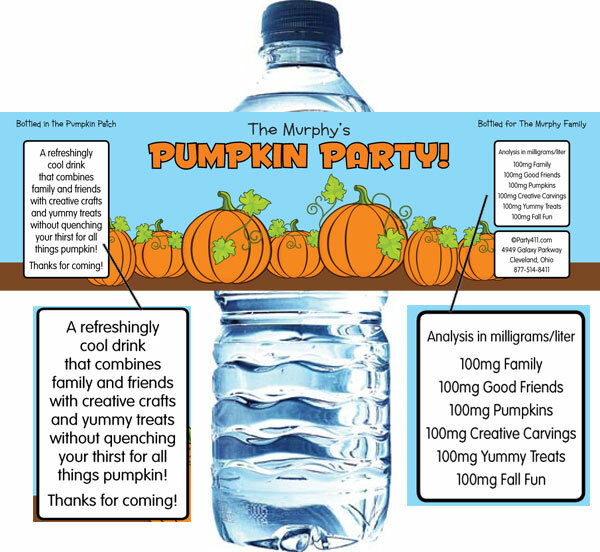 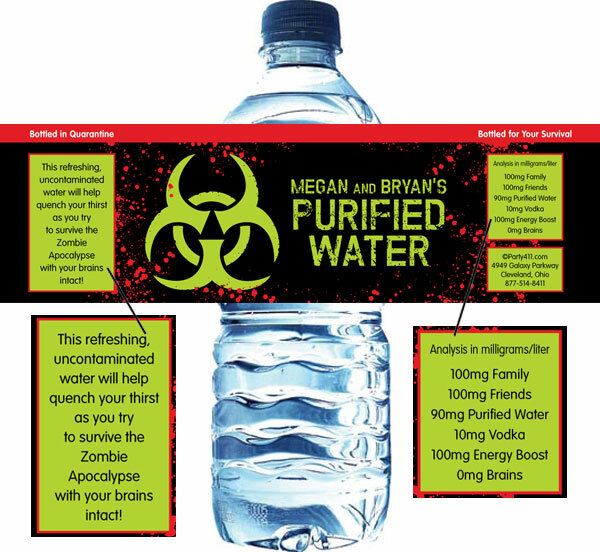 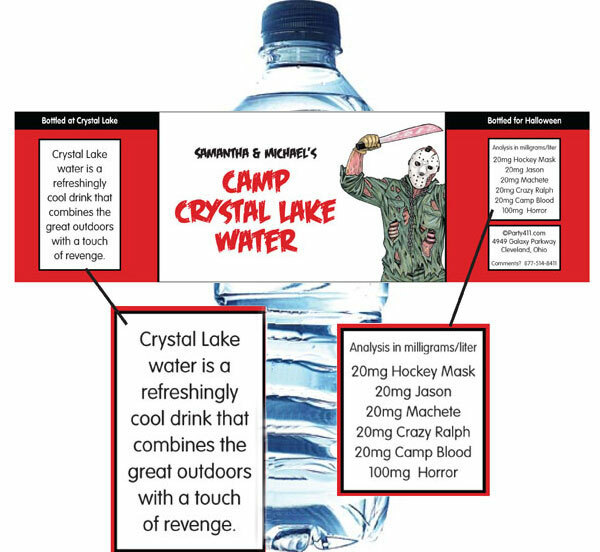 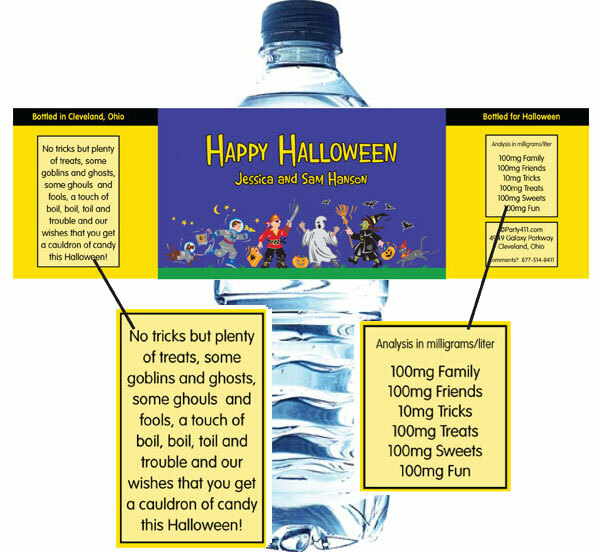 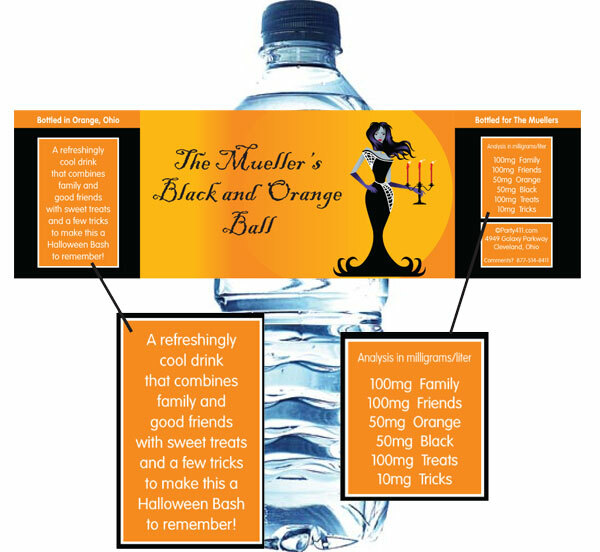 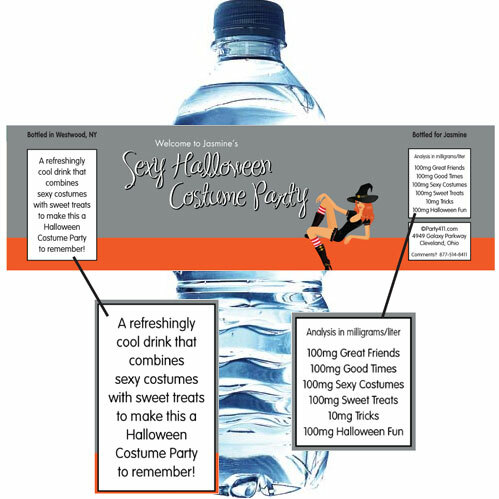 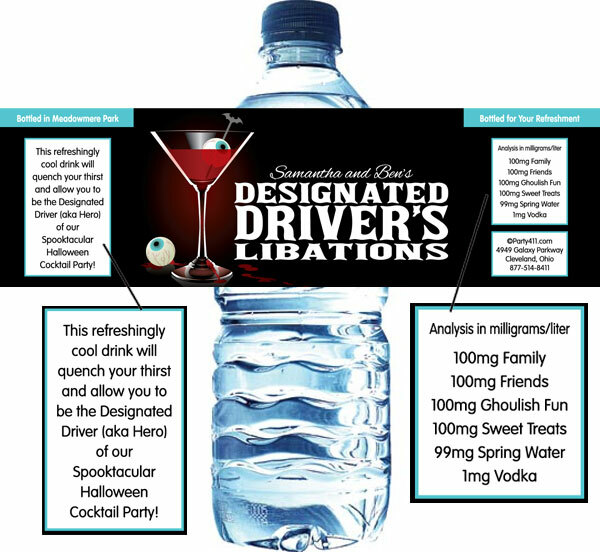 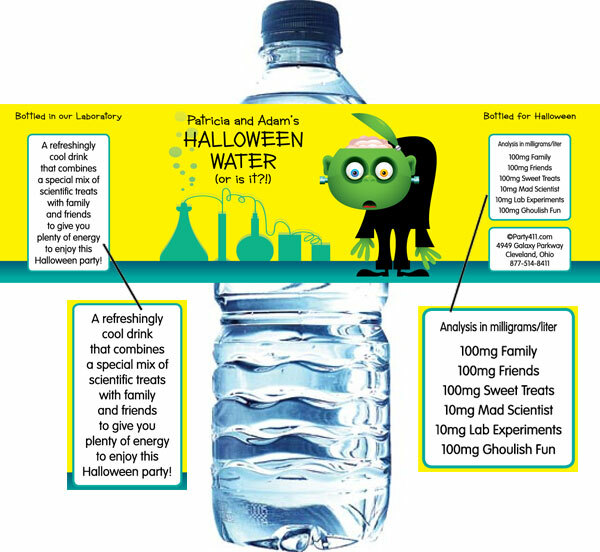 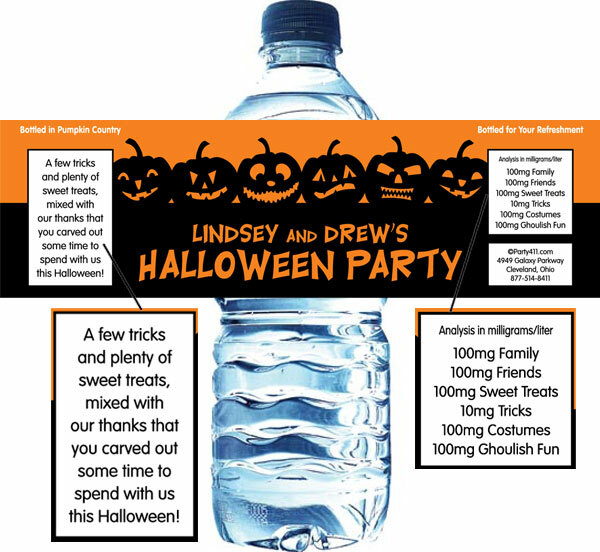 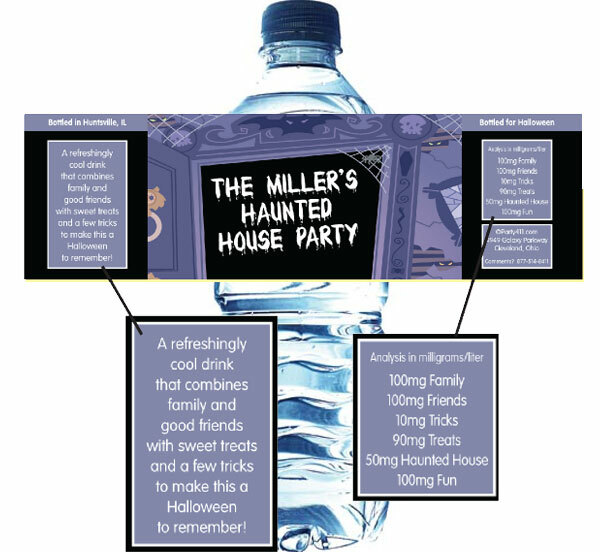 Party411.com offers personalized halloween theme water bottle labels. 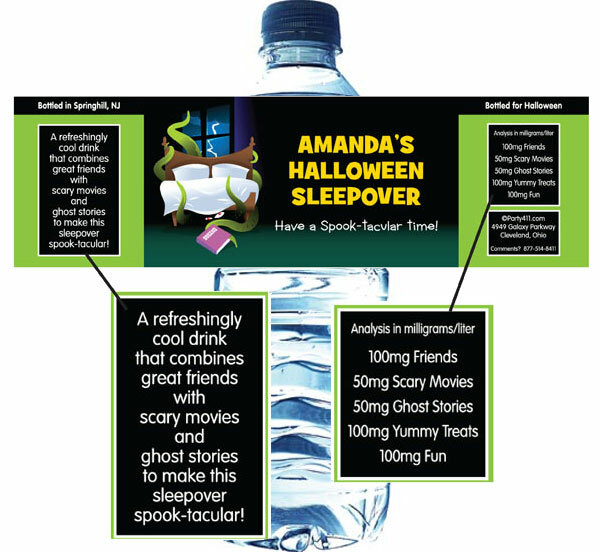 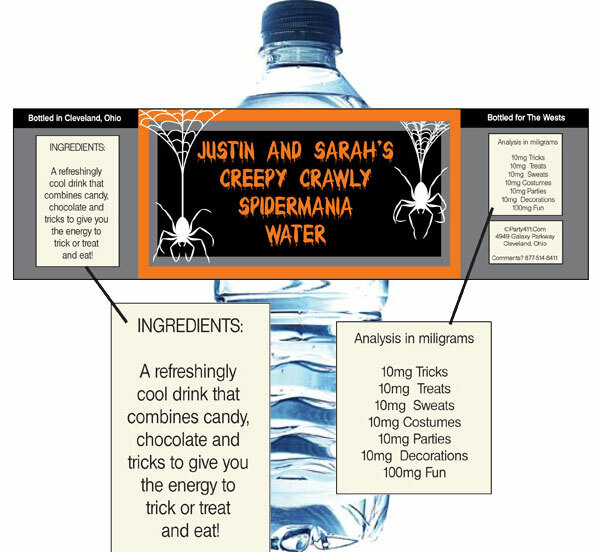 These personalized Halloween water bottle labels will be a great addition to your Halloween celebration. 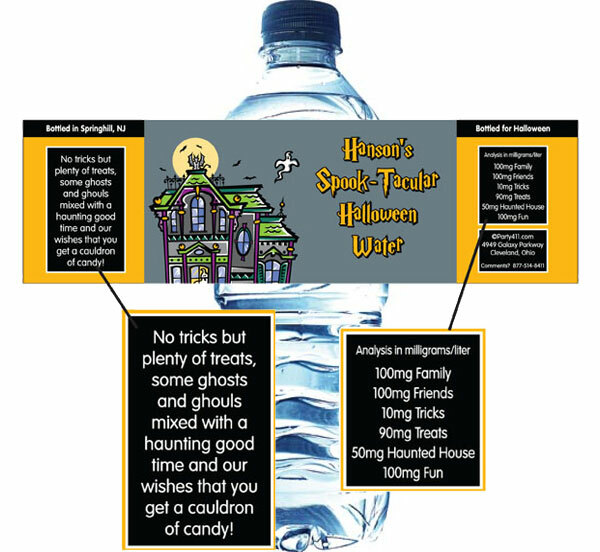 Wash down all of your treats with sea creature water bottles. 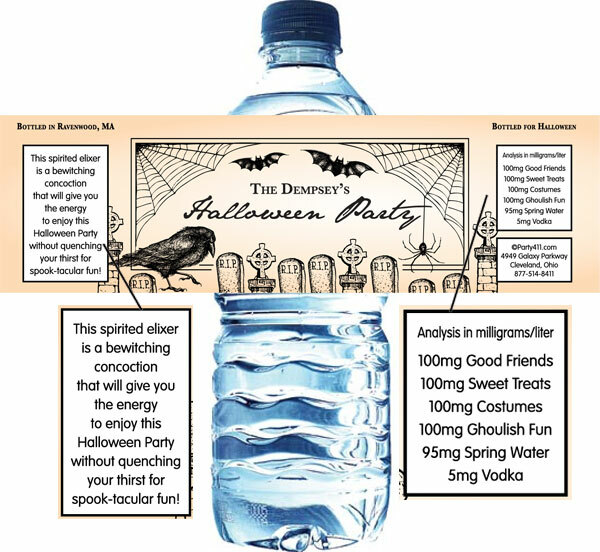 Remember the spiders are not actually in the water. 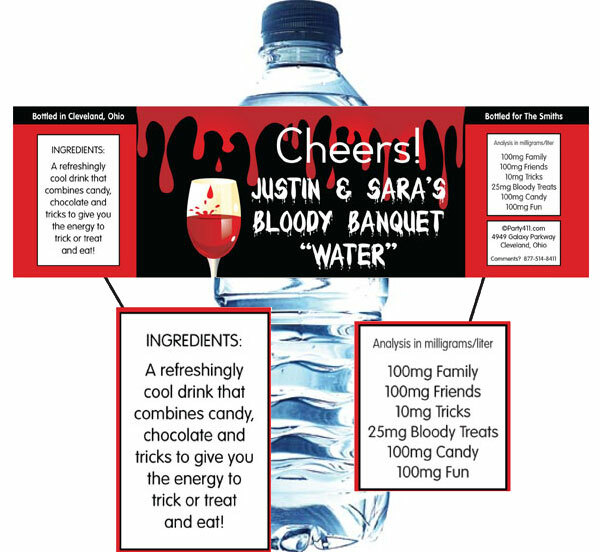 This theme water bottle is perfect for a Halloween wedding.